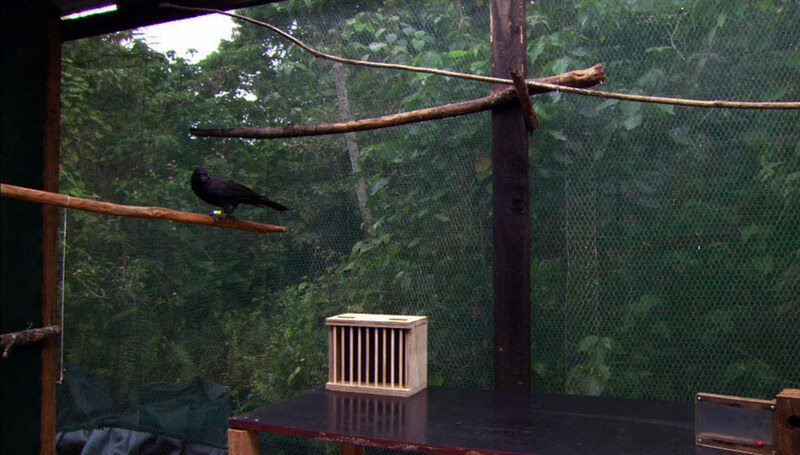 A New Caledonian crow begins to solve a complex task. 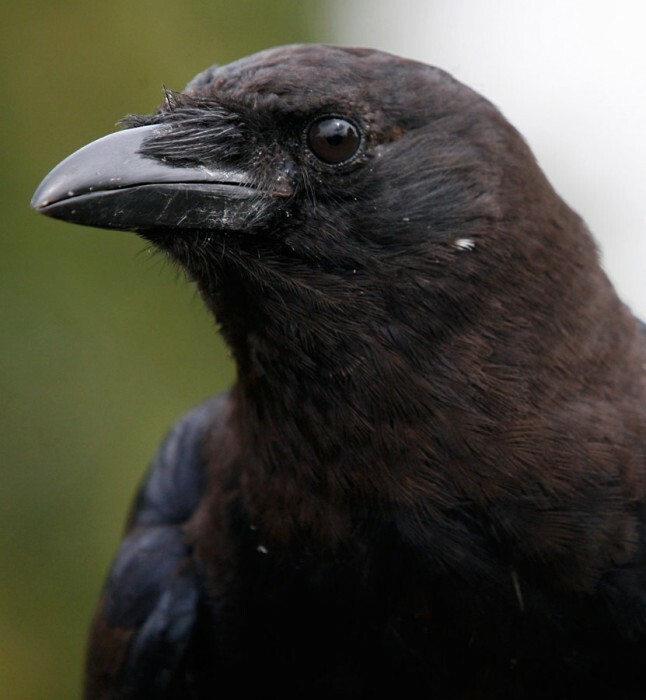 Close-up of an American crow, a bird common to the U.S., southern Canada, and northern Mexico, whose species name (brachyrhynchos) literally means "short-billed crow." Photo by J.P. Moczulski. 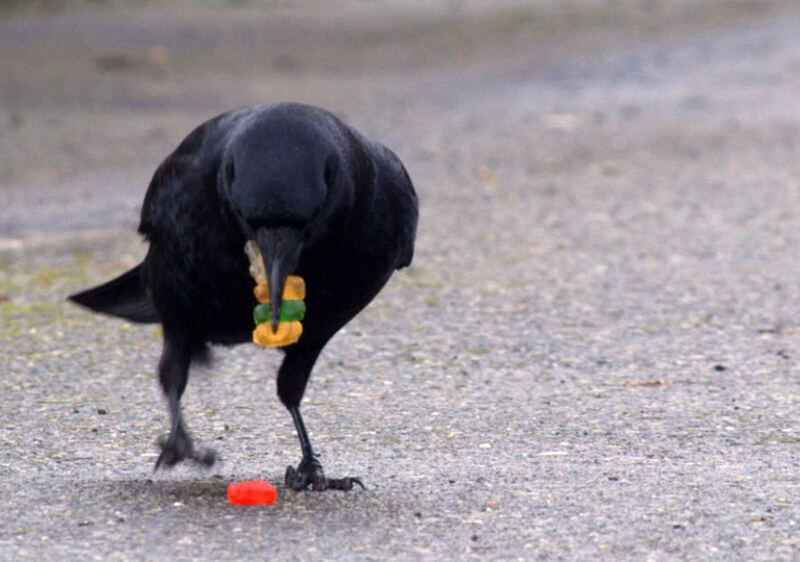 Crows are scavengers, eating everything from crops and dead animals to landfill garbage and gummy bears. 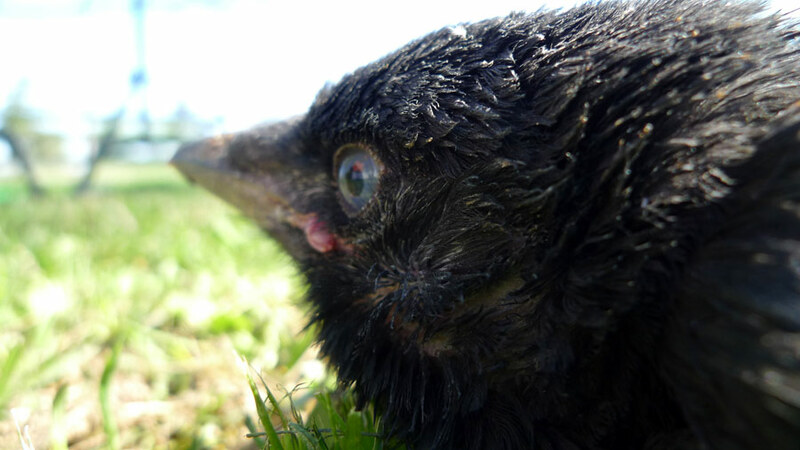 Baby crows are born into bulky nests, usually built in trees with strong sticks. 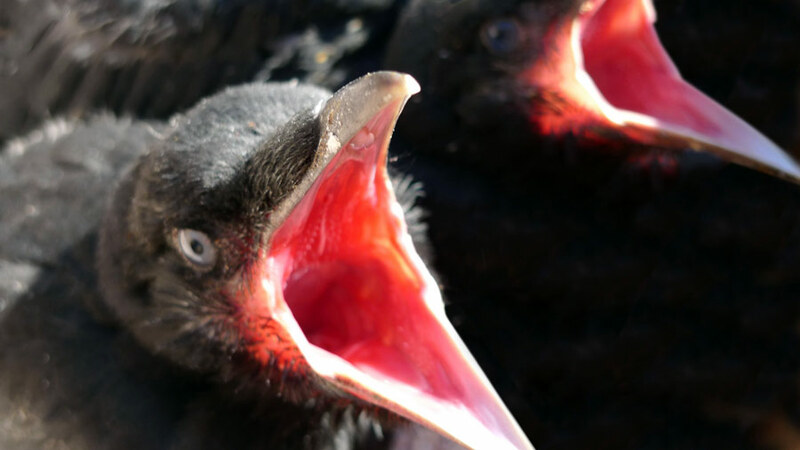 It takes about 35 days for young crows to fledge. Photo by Keith Brust. A fledgling crow explores the ground level. Young birds typically stay with their families for 4-5 years. Photo by Susan Fleming. 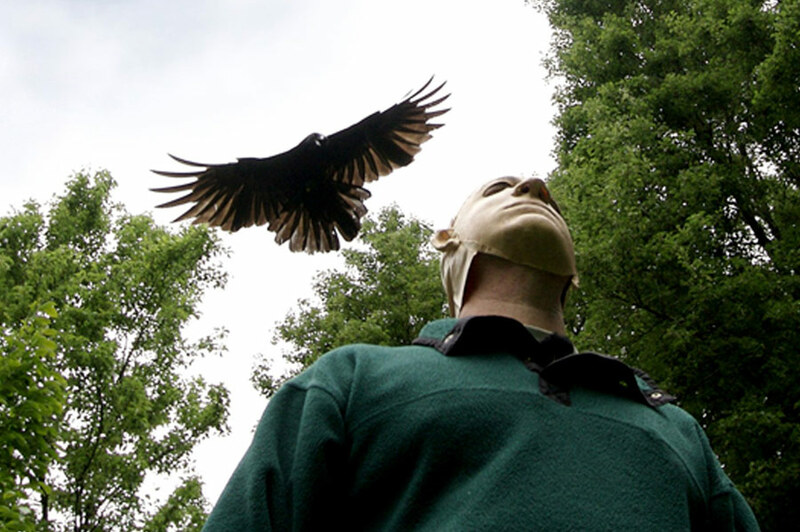 Wildlife biologist John M. Marzluff prepares for a facial recognition test, wearing a mask that his team has trained a family of crows to recognize as dangerous. Photo by Keith Brust. 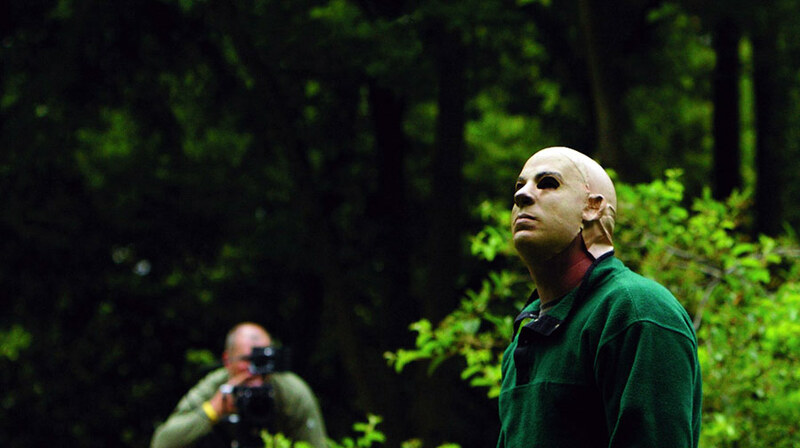 Crows call out and swoop down as the "dangerous" face enters their domain. Photo by Keith Brust. 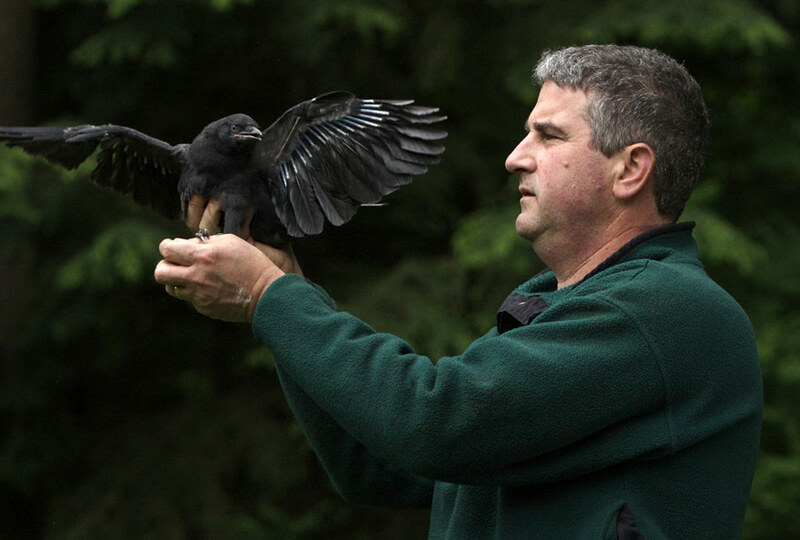 Professor John Marzluff installs a telemetry device on a crow, allowing him to remotely locate the crow and record information about it. Photo by Keith Brust. Crows are inventive and resourceful. 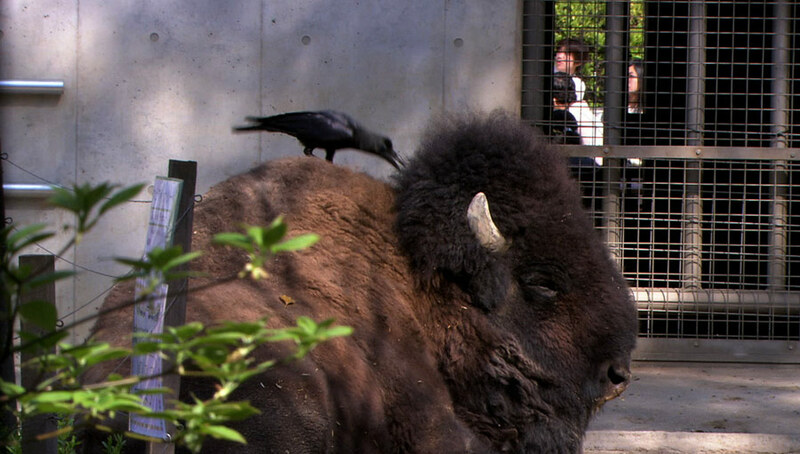 This crow pulls tufts of hair from a buffalo in a Tokyo zoo to use for its nest. 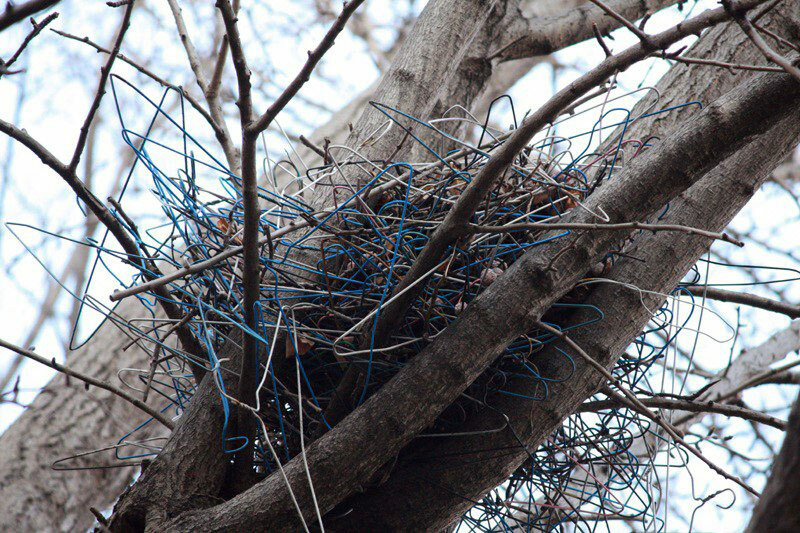 This crow's nest in Tokyo is made almost entirely of wire hangers. Photo by Susan Fleming. 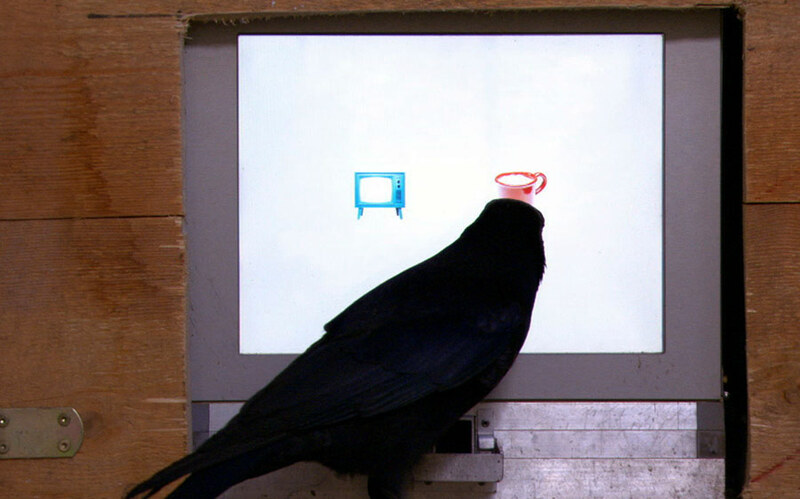 A crow is tested on its reasoning ability at the Konrad Lorenz Institute in Austria. 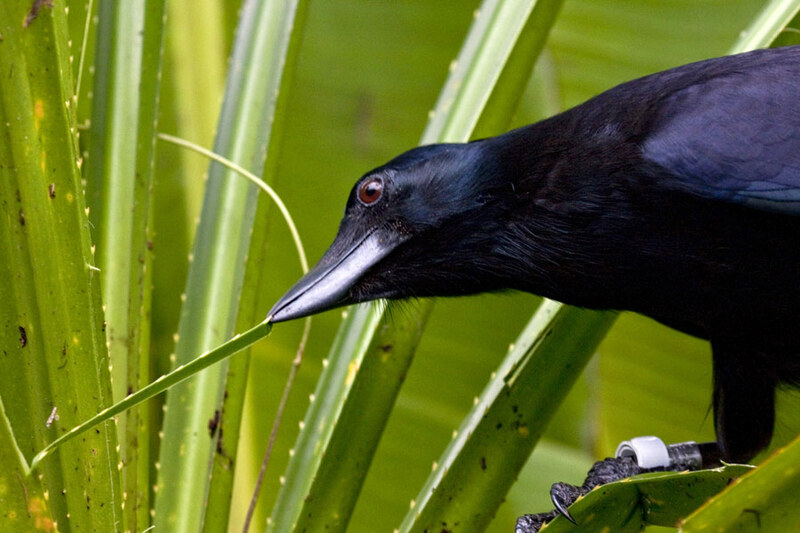 New Caledonian crows are arguably the smartest in the world. They're among the few animals known to make tools. Photo by Keith Brust. All photos © 2009 A Murder of Crows, Inc.